I have lots of jotforms. I manage our account for the entire college. Forms are for several departments and submissions go to different emails within each department. We are not receiving all of our emails so I don't know how to do the SMTP settings for all of our forms. Are those settings for our college server or for each individual email for each form? The SMTP sender should be added once, but each email notification/autoresponder should be manually configured to use added SMTP sender. You can add your custom SMTP sender from Account Settings page. Then, update each notification/autoresponder to use your SMTP sender as 'Sender Email'. Thanks. Unfortunately our IT department won't allow us to set up the SMTP email because we have to supply a password and they feel this would be unsecure. 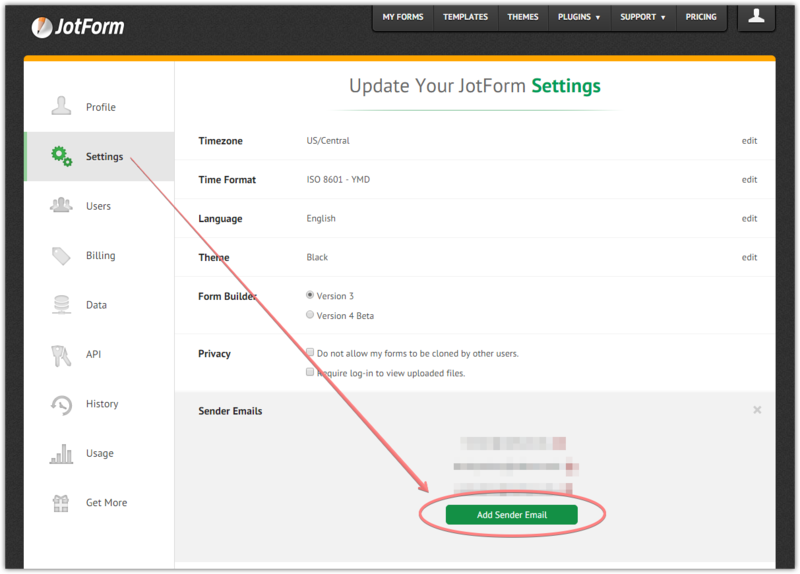 You might consider asking for a separate SMTP email account which will be used to send JotForm emails only. We will not send any emails other than emails associated with your form email notifications/autoresponders. Also, your password will be stored in an encrypted format.